TRA Studio designs and implements ecologically-conscious architecture and urban design projects for public and private clients, participates in competitions and submits proposals for urban sites (especially in Rome). As a research and activist think-tank, the studio gathers information about sustainable urbanism and disseminates it on its website, blogs, newsletter and through presentations and publications, also working through partnerships with other institutions and scholars. In pursuing its mission of promoting a greener Rome, the studio provides consulting services to educational and cultural organizations with green design interests visiting Italy for seminars, study travel, symposia, conferences and other academic activities. 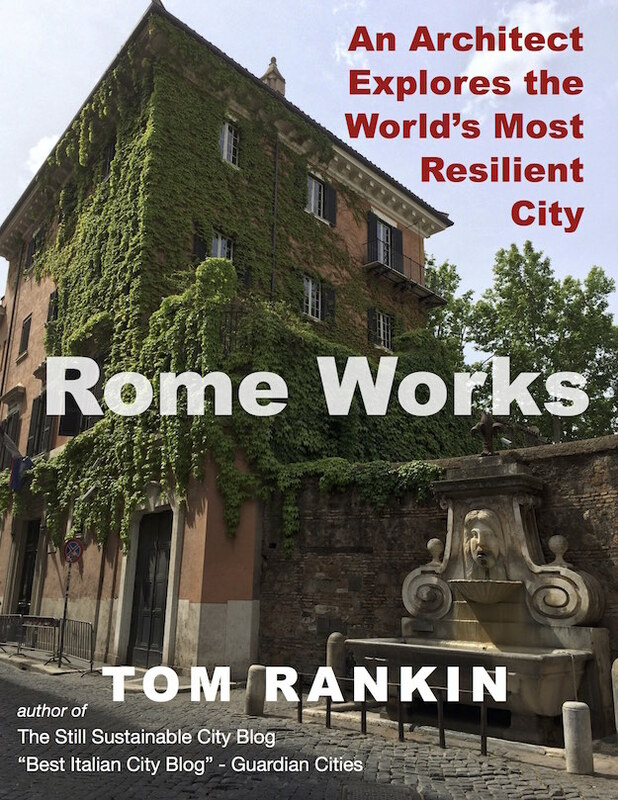 American architect Tom Rankin has lived in Rome, practicing architecture and teaching, since 1991. He received his Master’s in Architecture at the Harvard University Graduate School of Design, a BA in Architecture at Princeton, and a “Laurea” in Architecture at Università di Roma ‘La Sapienza.’ Through the creation of the cultural association Scala Reale, (absorbed by Context Travel) he was among the first to propose a sustainable alternative to commercial tourism in Italy’s capital and as a lecturer for various study-abroad programs and, until recently, a partner in Context, he continues to promote intelligent travel experiences for discerning visitors to Italy. Tom teaches at the at Università di Roma “La Sapienza” (School of Engineering), the California Polytechnic Rome Program in Architecture and the Iowa State Rome Program.